It’s 2018, and video content is officially here to take over the digital landscape. Its hype is totally proven during the last year where 74 percent of all internet traffic was taken by video. To set your product or service apart from the competition, make sure to check out these 10 video marketing trends that will surely take off or continue catching on in 2018, and will help to take your marketing strategy to the next level. Video marketing is now a crucial part of any content strategy that wants to taste success, so don’t miss out. Growing from a simple curiosity, live video streaming has grown into an exciting video marketing trend, continuously picking up its speed. With live videos, you give exactly what your followers want: immediate connection, feedback and gratification. Moreover, everyone has that ‘fear of missing out’, thus, live video is also a way to boost excitement of your audience. Whether you go live behind the screens, host live Q&A sessions, showcase product launches or let a customer control your content like Amstel Radler did, no matter what you implement you have a chance to keep your viewers drawn to the screen 3 times longer than with regular videos, also leaving 10x more comments during the video stream. Nowadays, everyone is well aware about the battle for the attention in ‘stories’ sector between those two social media giants, Instagram and Snapchat. What first seemed as a copycat feature, Instagram Stories are now surpassing its competition by acquiring 250 million daily active users comparing to Snapchat’s 173 million. On the other side, Snapchat is planning to step up with a new feature of sharing stories as embedded tweets, but let’s see what will actually happen. In any case, the game is not over as we will soon have a new player, YouTube’s Reels as a spin on Stories is in development to bring a more social vibe to YouTube environment. The Verge mentioned that, unlike other Stories, Reels won’t disappear after 24 hours, also giving a possibility to create multiple Reels, each with its own set of videos connected to your topic. Get ready for the new platform to explore together with your YouTube channel, maybe potentially even as an additional ad inventory in case it gets monetized. So, stay tuned. We were made to believe that video content is something best left to the larger companies with bigger budgets, but we were wrong. You don’t need a giant video production department to create engaging videos to promote your business. Check out Moovly, an online video making software that provides you with an opportunity to create your own professional videos with access to a huge royalty-free library of 1+ million images, videos, and sounds, as well as 75 million premium visuals and sounds from Getty Images. Easy drag & drop editor makes your video making process intuitive and so simple as never before. With an affordable price tag of only $24.92 a month (yearly billing), you have no excuses to finally kick off your video marketing campaign! You’ve probably already faced those popular devilishly delicious-looking videos by BuzzFeed Tasty, bright and… squared. 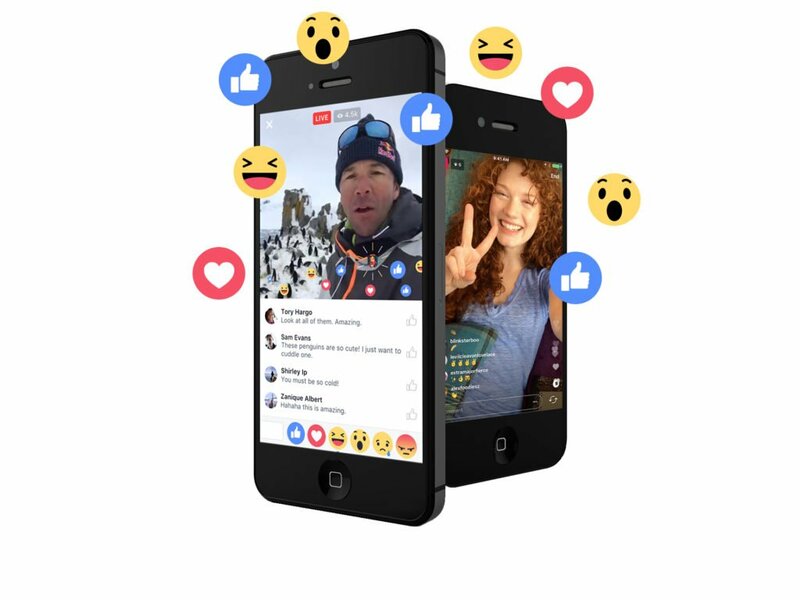 Facebook’s change of creative guidelines with a clear recommendation to shift towards the 1:1 video format for a better mobile fit became a total hit, increasing completion rates of cropped clips by 67 percent comparing to landscape ones. Moreover, according to Buffer, square-shaped videos take up 78 percent more space in your Facebook News Feed, so your content will have a better chance to get noticed. Squared videos, certainly, become the new ‘norm’, so jump on the bandwagon and explore the potential of this video marketing trend with us. It seems like everyone is entering the video business: Netflix and Amazon have started the trend, Apple is investing around $1 million in original content. 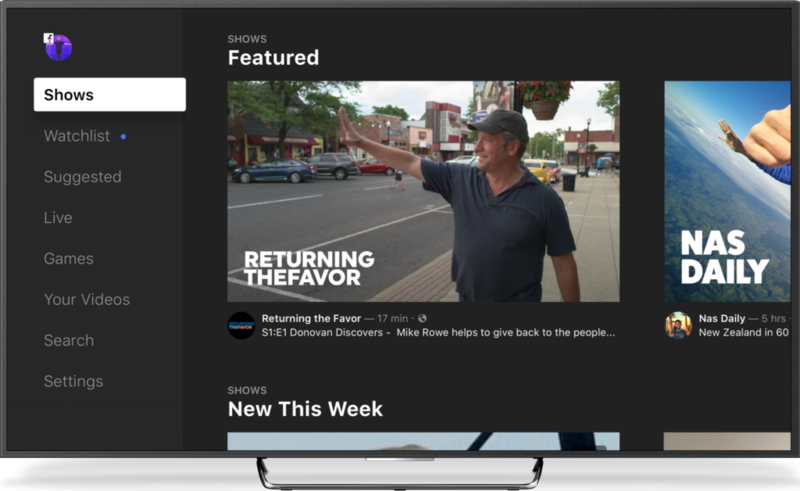 Now, Facebook is joining the game with its new Facebook Watch service that promises to introduce you to new shows adapted to your interests with the help of your communities’ suggestions. Even though now it seems hard to push YouTube from its throne (same as Google from its search engine king’s seat), with a strong differentiation point Facebook has a chance. Nevertheless, it totally has a potential from publishing perspective, knowing that Facebook shares 55% of its ad revenue with Facebook Watch. There is a strong focus on social viewing, which should be taken advantage of by companies interested in bringing communities together and enhancing their current video marketing strategy. The benefits of this video marketing trend are tough to deny. To start with, video transcriptions bring huge SEO advantage, i.e. YouTube ranks your video higher with a full transcription. A well-written transcript will help search engines to detect optimized keywords for a better fit with people’s searches to provide them with the most relevant information. Since Google purchased YouTube in 2006, we might have noticed the major focus Google’s search algorithm puts on Youtube videos. Meaning that with an accurate transcript your video will also reach a better rank in Google. This way you kill two birds with one stone. In addition, knowing that 85 percent of videos are watched without sound you might finally consider implementing video transcripts to adapt to the current audience’s behavior and give a chance to every viewer to be acknowledged with the internal information. Consumers love video, but totally hate bad ads. Combining research findings that our attention span is shorter than a goldfish and info that 44 percent of internet users consume short-format content daily, it’s easy to conclude the necessity of micro-video production. To combat consumer ad avoidance, Facebook’s COO, Sheryl Sandberg, mentioned an ideal ad length of ads to be 6 seconds, which is also perfectly suitable for the recently introduced YouTube bumper ads. If your company’s big ideas are getting lost in the shuffle, it might be the time to repackage it into something consumers can easily digest. Snackable content should be exactly what its name stands for: tempting, tasty and small, leaving you with a desire for more. Thus, focus on engagement with micro-videos. Now that Augmented Reality has become a reality, and 360° videos are making a big comeback in 2018, you get new paths to interactive customer experience through an immersive technology. AR engages users far beyond many of mobile technologies we’ve seen in the past. There are numerous ways of implementation: interactive print, augmented commerce or, for instance, live activations. The main question is whether AR will suit the marketing strategy of your brand. Considering 360° videos, Google has found that despite lower view-through rate they had 46 percent higher click-through rate comparing to standard video versions, which makes them cost-effective with its lower cost-per-view. Not everyone is ready to adopt such technologies just yet, but the engagement companies will receive from it will be worth the investment to do it right. Generally, PR and marketing provide videos that suit an entire audience in a one-size-fits-all strategy, such as how-to videos and product demonstrations. Such videos, certainly, provide clear benefits, however don’t include a target, persona-based video strategy. Do you also get that warm feeling when a store clerk remembers your name? It’s a simple gesture, yet it makes you feel more connected. That’s how personalization can also enhance your video marketing strategy by increasing engagement, connecting to your audience, and finally, driving sales. A great example of personalized video success was Cadbury’s campaign for Cadbury Glow, promoting that chocolate is a thoughtful gift to give. In the campaign, users could automatically create a personalized video that includes their photos and names taken from Facebook profile, and share it with a recipient when receiving a box of chocolate. It was a total hit with 65 percent CTR and a 33 percent conversion rate. So, that’s how you deliver an ultra-personalized brand experience! Time is money, and explainer videos continue to be a great way to get a rundown of what your product or services are, and how they perform, in the span of only few minutes. The effectiveness of explainer videos is huge: they’re concise, showing a clear problem and a direct solution, leaving space to get creative to give your audience an overall memorable video watching experience. If you’re not sure where to start, check out this blog on how to easily make an explainer animation video. This video marketing trend is much easier to adopt than you expect in order to trigger strong emotions and capture attention of your audience. As an idea, consider exploiting Quora as a Q&A community to share your how-to videos. It might soon drive more How-To video traffic than Youtube. The bottom line? Video marketing trends of 2018 can be summarized in a single idea of online engagement. It’s definitely not a year to become camera shy! The last few years were all about skyrocketing video numbers, and 2018 will not be an exception. So, make sure to get on board and integrate new trends quickly to offer more worthwhile video content. 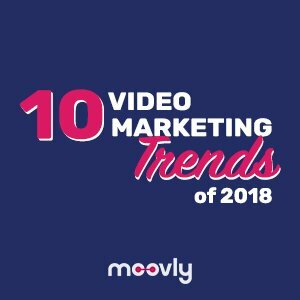 Ready to adopt the latest video marketing trends of 2018 and enhance your marketing strategy? Click to know how video marketing will look like this year!